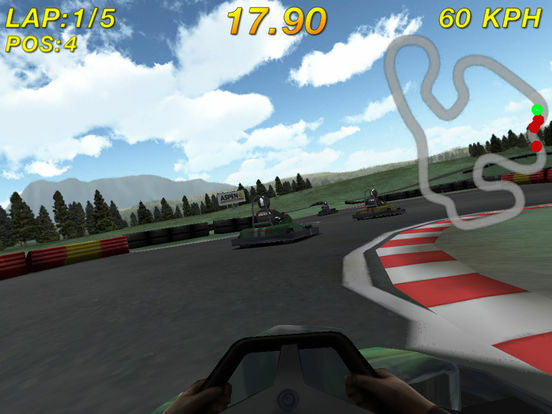 While playing the game you will get a very realistic go kart experience, with life-like kart handling on fun and challenging tracks. What are you waiting for? 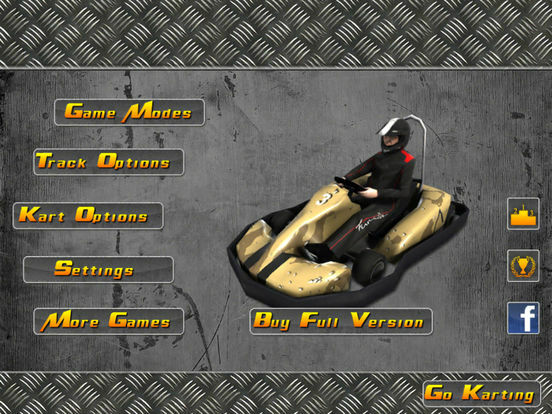 - Go Karting Outdoor! 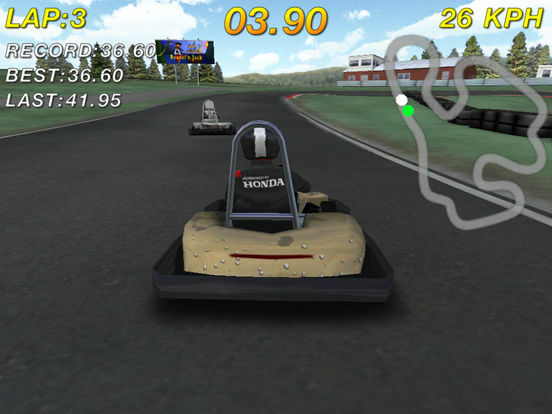 - Race on one track. 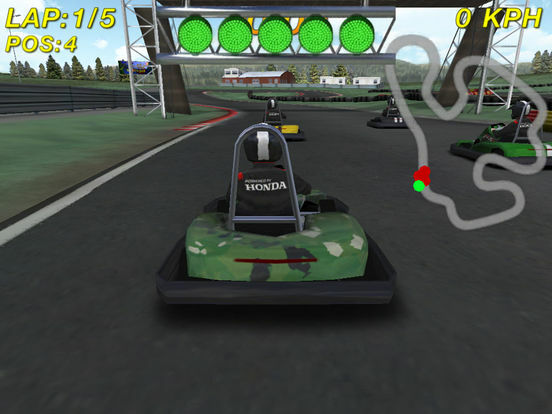 - Choose between 9 different paint jobs on your kart as they become available when you progress through the game. 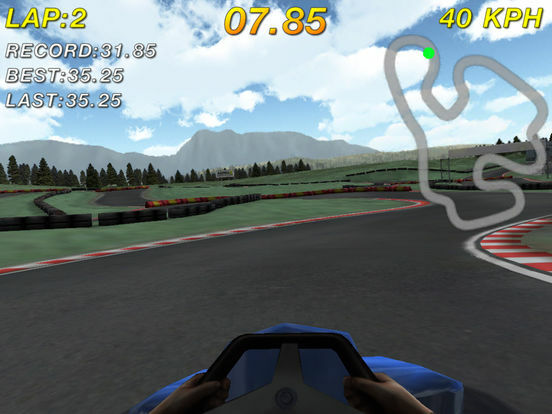 - Choose between two different engine sizes, the easier 270cc or the blazingly fast 390cc! - Minor adjustments regarding iPad screen resolutions.